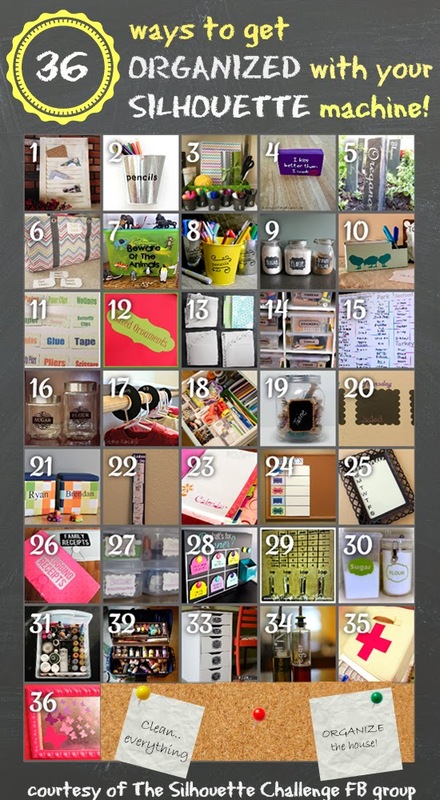 Today I'm posting with an amazing group of ladies who #1) love their Silhouette Machine and #2) Just want to get organized this month! So be sure to check out some of the other projects! They are ALL pin worthy! We have a chest freezer to keep all of our bulk items that we go through often. The problem with chest freezers, is things tend to go into a far off land and forgotten about in there unless you know for sure what's in there and what you need. I've made several written lists and tried keeping it in the kitchen where I could update it each time I took something out. This worked okay for about the first week until my helpful husband would take a large batch of items out with out me knowing or without marking the list. He can't be all to blame, either. I was just as guilty. I was especially guilty of misplacing, throwing away, or hiding that list out of view. My solution? 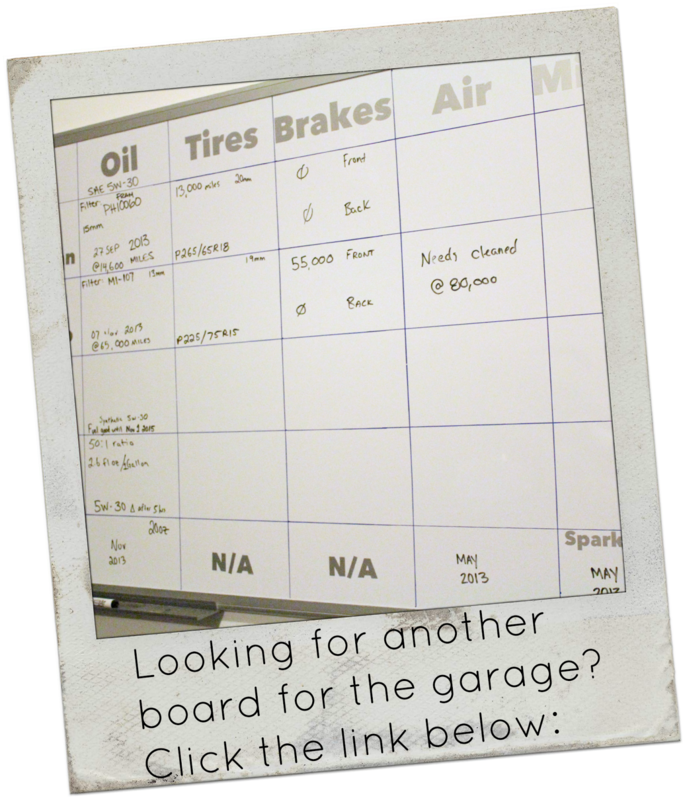 A huge dry erase board that would be located right on top of the freezer door. Using command strips, I was able to attach the board to the freezer semi-permanently. Now, out of sight, out of mind is no longer an acceptable excuse! I made the grids using fine tip permanent markers. Then, used my amazing Silhouette machine to cut out the letters. I used just a classic black vinyl for the contents and a silver vinyl for the titles of each category. The best part is, if we ever stop buying an item, I can easily peel off the letters to make room for something else. 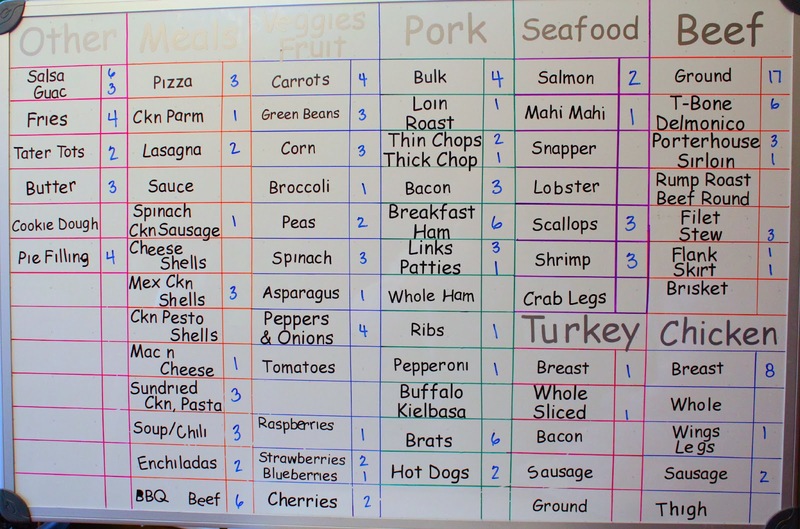 I also left some extra spaces at the far left to be able to write in items (with a dry erase marker) that we don't typically keep, but happen to have in the freezer at the time. I used a fine tip dry erase marker to easily write in the numbers as well as easily wipe them off in a hurry. Well, please visit my dear friends and see what sort of organizing they have been up to! (They have far more energy than I do, that's for sure!!) Be sure to hop around and leave some blogging love comments! Great board! I love how visible it is, and easy to read and access. You won't ever forget what you have in there! Thanks so much for this organizational inspiration! And thanks for stopping by! 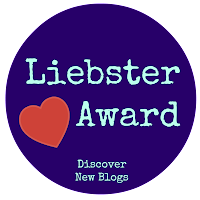 I just love visiting your little piece of the blog world! 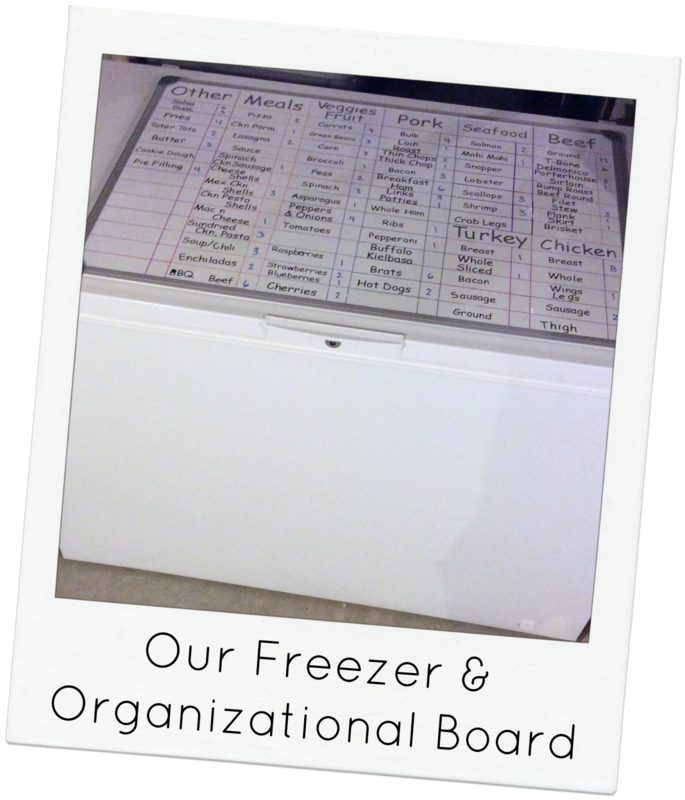 I need to do this for our chest freezer! Thanks for the inspiration! It really has helped so much! I was semi-skeptical at first.. but it was definitely worth all of the work! Very inspirational! I love this idea. My freezer is a wasteland, something like this would be a great help. I totally want this! Both the freezer and the board! Fantastic idea! I would have never thought of this but I'm going to do it now. Thanks. Yay! Glad I was able to help! It really has made such a big difference! What a GREAT idea! I forget stuff all the time! As soon as I get my chest freezer I am making one of these. This is PURE GENIUS!!!!!!!! Thanks! We really like the concept so far! You'll love having a chest freezer around! I want both the freezer and the board too. Awesome! We buy our meat from a local farmer so we get halves or quarters at a time.. so a chest freezer was a must have for us. 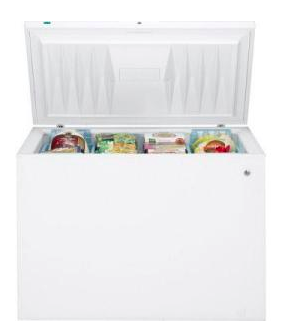 If you're into "hoarding" food, you'd love a chest freezer! haha Thanks for stopping by!